AMAZING VALUE !! 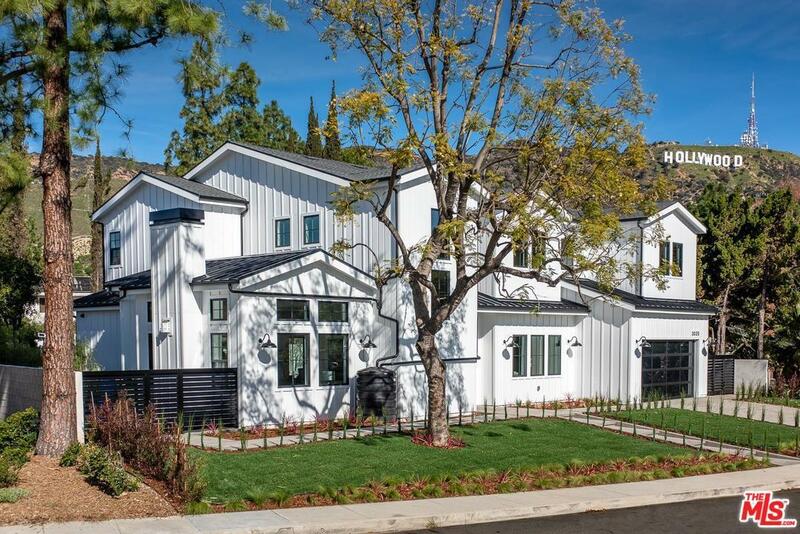 Located on one of most desirable streets in Lake Hollywood, an ultra-exclusive celebrity enclave, this modern farmhouse features all of today's amenities. The clean lines & open floorplan provide for the quintessential Calif indoor/outdoor lifestyle. Formal living & dining rooms transition to the family rm & chef's kitchen w/2 Calcutta islands, custom cabs, eat-in breakfast nook & appliances by Wolf & Sub-Zero, ideal for the most accomplished chef. Upstairs, there are 4 ensuite bedrooms w/vaulted ceilings including the romantic master suite which includes a fireplace, views of the Hollywood sign, oversized rain shower, freestanding soaking tub & dual walk-ins. The smart home includes a media rm, oak floors which compliment the high ceilings, indoor/outdoor speakers, surveillance system & the ultimate backyard living space w/pool/spa, bbq, pergola patio & grassy yd. Minutes to the city & great hiking & biking trails. Also available for lease.